Wellington waterfront from Westpac Stadium to Te Papa will play host to the largest gatherings of Māori performing, visual and language arts over the weekend 22nd - 24th February 2019. 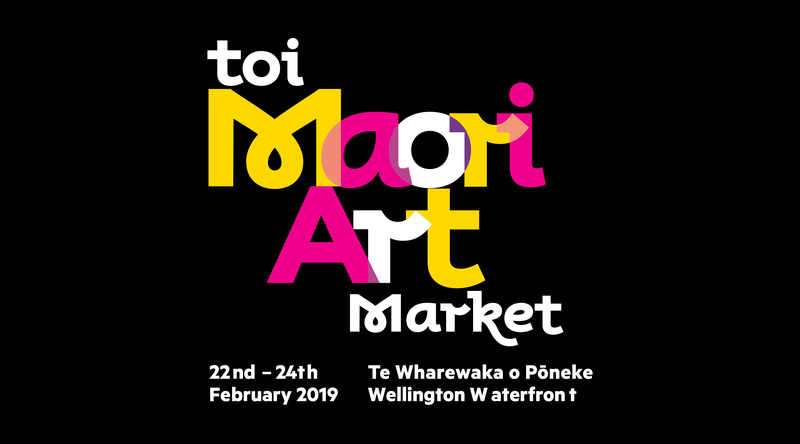 Te Wharewaka o Poneke beside the Lagoon sits centre stage and hosts Toi Māori Art Market a showcase of the visual arts. Displayed over two floors of the iconic Event Centre, visitors will be able to see the art and meet the artists. The Toi Māori Art Market will also feature a programme of panel discussions, interviews, performances and presentations. Invited international, national and local guest speakers will share their art and practices as well as give their thoughts on a range of interesting topics relating to the past, present and future of Contemporary Māori Art. The Toi Māori Art Market is also the prime opportunity to purchase works from New Zealand's best emerging and established Māori artists. This whanau friendly event is the largest gathering of contemporary Māori Art in the country and is sure to inspire.